Dear Editor: How can you conclude that my manuscript is not acceptable for publication? Grant proposals vs manuscript publications: what’s the difference? There are now fourteen federal funding agencies implementing this policy beginning in 2016. It is our suspicion that most readers of this page are highly likely to already be aware that the NSF, and to some extent the NIH, now require that applicants include a discussion of a data management plan in their grant applications. Would you like to make an immediate positive impression with reviewers? Would you like to hone your proposal writing skills? 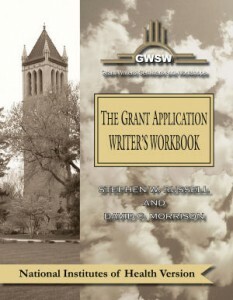 How to be successful in writing peer-reviewed grant applications?